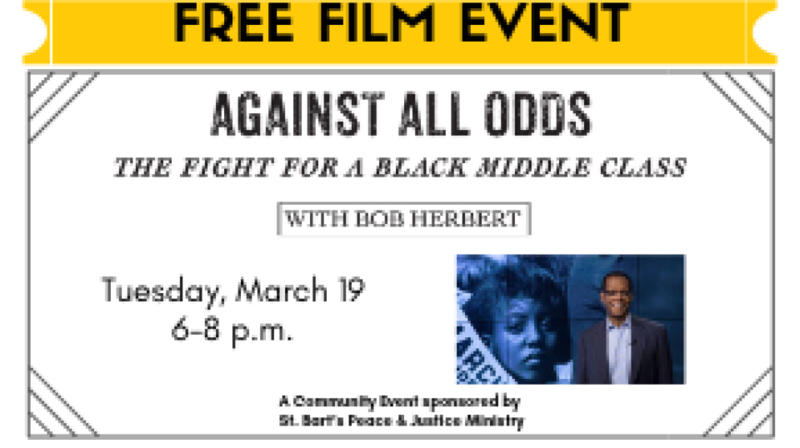 Come view the PBS acclaimed documentary AGAINST ALL ODDS: The Fight for a Black Middle Class. Probing the harsh and often brutal discrimination that has made it extremely difficult for African-Americans to establish a middle-class standard of living. Through dramatic historical footage and deeply moving personal interviews, AGAINST ALL ODDS: The Fight for a Black Middle Class explores the often-frustrated efforts of black families to pursue the American dream.